Jose Trevino is a hot young catcher for the TX Rangers who made his Major League debut in 2018. 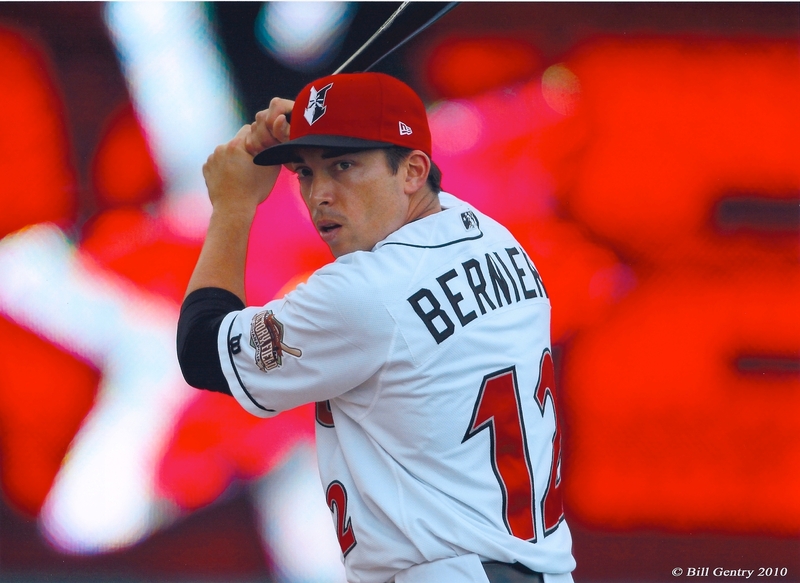 He also won the Rawlings Minor League Gold Glove Award… twice. That means Rawlings named Trevino the best defensive catcher in all of Minor League baseball in 2016 and 2017. In 2017 while playing for the TX Rangers’ AA team, Trevino allowed just three passed balls in 99 games, while throwing out 41.3% of potential base stealers. Jose also happens to be a former teammate of mine when I was with the TX Rangers. We had lockers beside each other in spring training, and I got to know him as a genuinely good dude as well as a fantastic catcher. When I asked Jose to do an interview with me, he was thrilled to have a chance to help out young players, parents and coaches. Rawlings named Jose Trevino the best defensive catcher in all of Minor League baseball in 2016 and 2017. It was an incredible interview, with loads of great tips and insights about how to become a great catcher. But for this particular post, I’ve only posted a small segment of it, because I wanted to focus on something he said (It was such a great point, I wanted to make sure it didn’t get lost in all the other great advice he gave). In fact, I’ve started calling it his “secret weapon” for great defense… because it’s working for him in a big way. 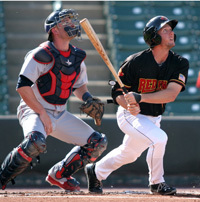 So what is this secret weapon for becoming a great defensive catcher? I’ll let Trevino tell you in his own words. Just watch this short clip from our interview, and then keep reading below for a detailed breakdown. Yep, that’s not a typo. Infield drills. 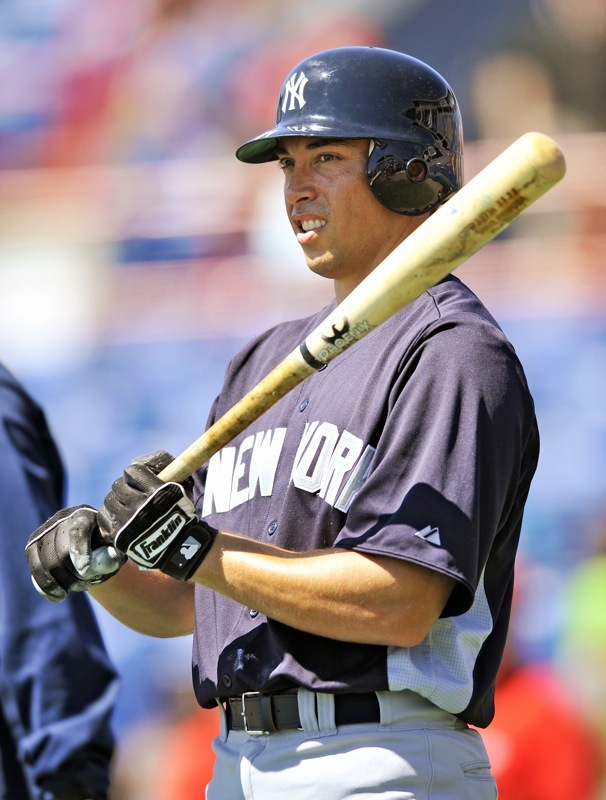 Now Trevino was actually drafted as an infielder and then made the switch to catcher in pro ball. But even after the Texas Rangers moved Trevino to catcher, he never stopped doing the infield drills. The only difference is that now he does them with his catchers mitt. So why does Trevino still do infield drills in addition to his catching drills? More specifically, what are the benefits for a catcher who does infielder drills? After the Rangers moved him to catcher, Trevino never stopped doing the infield drills. Perhaps this goes to that recent trend of pro teams turning infielders into catchers. That seems to be all the rage right now, and for good reason. As we said in the video (above), having great hands is an essential part of being a good receiver. The benefit for a catcher is that doing infield drills with your catchers’ mitt is a fun way to make things more challenging and to get you using your mitt in a different way than you would in traditional catcher drills. A “double clutch” is when a catcher goes to make a throw to second base but can’t get the ball out of his glove as smoothly or as quickly as he needs to. This usually happens because the ball got “lost” in the glove, so the player can’t find it or doesn’t get a good throwing grip the first time. The result is that the entire transition gets messed up. The player then has to try again to get his throwing grip, but now his timing is off and the momentum is lost. Usually if a catcher needs that double clutch, he may as well not even throw the ball, because the runner is already safe. It’s much easier to mess this up in a game than in practice or a showcase. There’s more adrenaline in a game situation, the natural tendency is to rush or feel rushed. The handle you get on the baseball is a very common place catchers make mistakes. This is why a catcher has to be so comfortable with the movement, the ball and his mitt, that it becomes 2nd nature. If you’re unsure, or you have to think about it, or you haven’t developed your feel for this movement… things may not go well when you’re in a high-pressure situation. Jose compares this glovework to an infielder turning a double play. It can be challenging to get the ball out and into your hand, with a good grip, ready to throw. 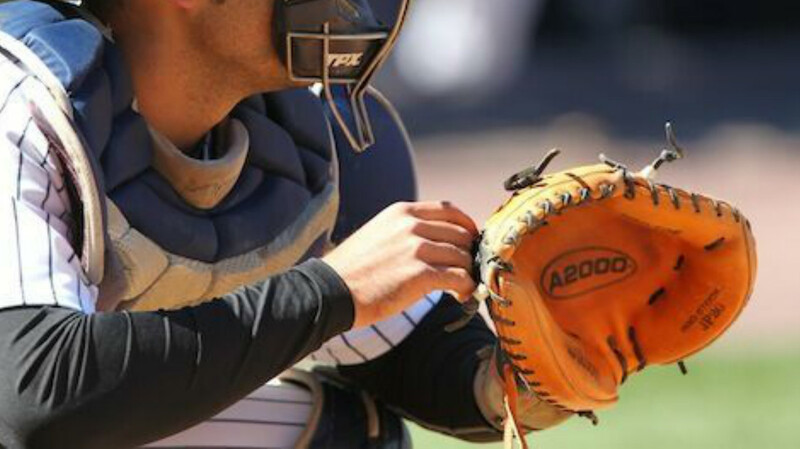 And a catcher’s mitt is deeper than a regular mitt, so it can be even more of a challenge. Getting used to being able to get it out of your glove – so you know exactly here the ball is and you get a good grip – is key to more consistent and faster transitions (think pop time) for when you have to make a throw. So that’s why Jose works on turning double plays with his catcher’s mitt. It allows him to work on being able to grab the ball out of his mitt, doing it over and over again, so it’s easy natural comfortable… working on different scenarios. And I guess it’s working, because Jose’s Caught Stealing % for his whole pro career (5 seasons) is 40% so far! As a general rule, catchers aren’t expecting to block a fastball. Fastballs aren’t thrown in the dirt as often as off speed pitches are, so when it happens, it’s pretty unexpected. From time to time, it DOES happen. This is one of those situations that could be disastrous if there happens to be runners on base. 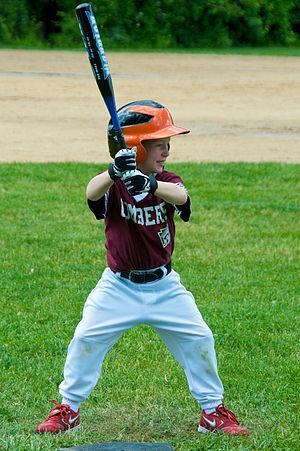 That’s why – especially since it’s considered “a tough play” – being able to pull this off will definitely set you apart from the crowd of other talented ball players. Most baseball catching drills don’t help you prepare for this type of situation (such as catching balls that are short hopped). Infield drills provides a way working on skills and plays that you don’t get very often… but when they come, you’re still expected to make them. Better hands = better receiving. 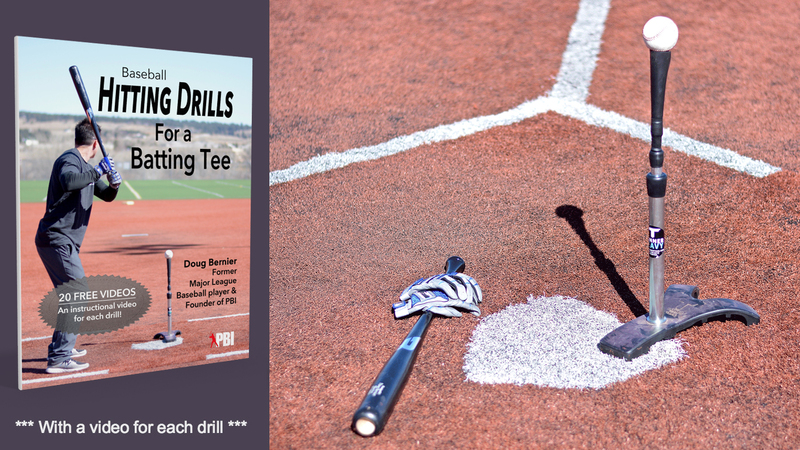 Infield drills improve dexterity and athleticism in your hands. Jose has blurred the line between catching drills and infield drills. And it’s working for him in a big way. So give it a try. Next time you have to pick a ball in the dirt and get a throw off… you’ll be ready! Looking for more free catching tips? IF drills with a catcher’s mitt puts a different twist on being strong up the middle. I like it.